If you’re looking to have a new Kenmore hot water heater installed in the 37122 part of Nashville, TN, or you have a faulty heater that can likely be fixed by a residential plumbing expert, Advantage Plumbing can help. We offer hot water services like installation, maintenance and repair and can answer any questions you may have, including what type of hot water heater is best for your home. Considering most people are not entirely familiar with Kenmore water heaters (or really, any specific water heater, for that matter), there are a few things that you should continually monitor to make sure yours is working safely: any kind of leaking from connection points or the tank, a tank that has visibly burst open, dirty water, smelly water, a pilot light that won’t stay burning, or simply the fact that you’re not getting an adequate amount of hot water in your home. If you’re experiencing one of the above issues, but your Kenmore water heater is still relatively new, in all likelihood, one of our expert plumbers will get it working again after a quick repair. However, if your water heater has blown up or ejected itself through the roof of your garage… we will probably recommend you buy a replacement. Though most homes and condos end up using a Kenmore water heater for much longer than a decade, these appliances are only supposed to be in operation between three and 12 years, depending on the model chosen. Thankfully, Kenmore doesn’t give their water heaters any kind of model names and instead use a very pragmatic naming convention that describes the number of gallons it holds, how many years it should last, the physical size of the water heater and the technology used. For example, one of the best-selling Kenmore hot water heaters is simply named Kenmore 74 gal. 12-Year Tall Natural Gas Water Heater. When our customers find themselves in a situation where they and their family have to go without hot water or are having any other kind of plumbing problems, they can resort to desperate measures (we recommend not duct taping that hole in the tank, for the record) and many other residential plumbers in Franklin, Mount Juliet and Murfreesboro can sometimes overcharge, or upsell when they see it. 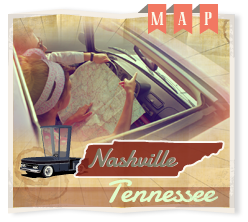 As locals to Nashville, we think of each of our customers as a friend, and just want to help them get on with their lives – sans plumbing problem. When your hot water heater in 37122 needs to be repaired or replaced, you can count on us to charge a fair and honest price. Get that water heater taken care of no matter what its issue might be by calling us today at (615) 781-1239. Not in a hurry and have a plumbing question? Feel free to contact us online.